We will be holding a Sixth Form Open Day on Friday 17th May from 10.15am to 1pm. This will be a great opportunity to meet some of our specialist staff and tour our school site. We will be providing free return travel across the Solent via Hovertravel at Portsmouth Southsea to our site in Ventnor. Booking is essential. 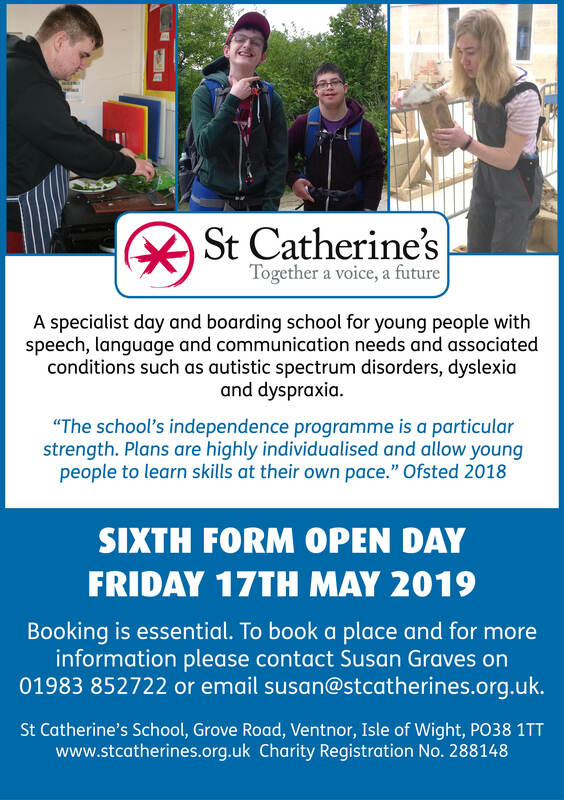 To register your interest please contact Susan Graves, Marketing and Fundraising Manager on susan@stcatherines.org.uk.